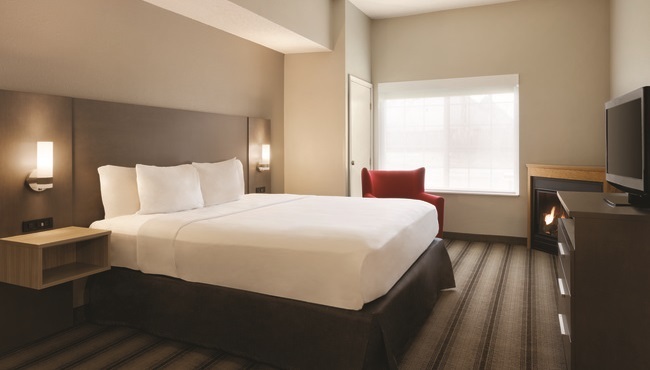 Keep an eye on your flight times from the comfort of your bed thanks to free Wi-Fi in every hotel room and suite at the Country Inn & Suites, Indianapolis Airport South. 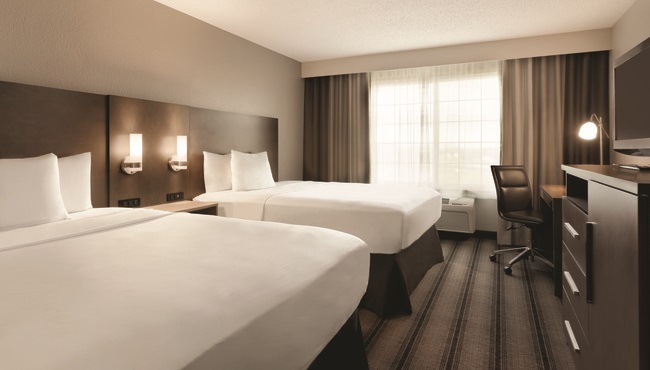 Curl up in your plush king or queen bed and browse the free weekday USA TODAY® newspaper before getting to work at the in-room desk with an ergonomic chair. 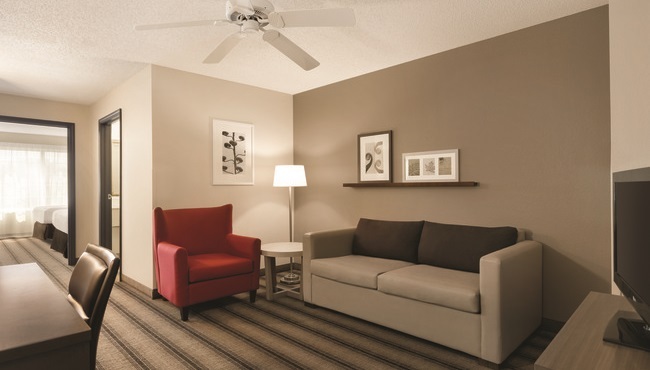 When it’s time to take a break, brew yourself a cup of coffee and catch a movie on the 32-inch flat-screen HDTV. 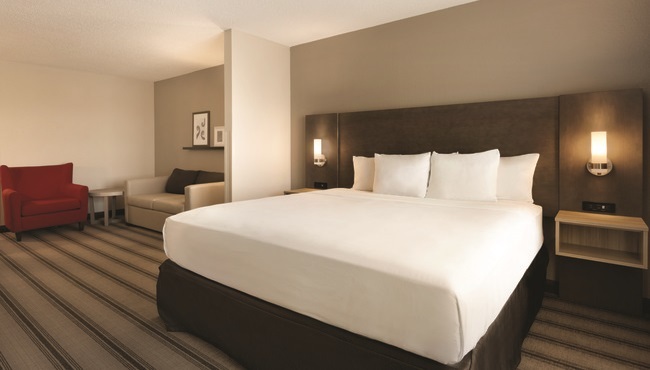 Our spacious suites include all standard amenities, plus extra comforts like a sleeper sofa. 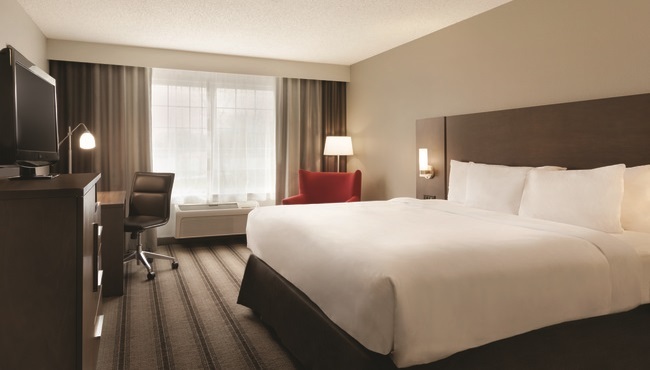 This spacious accommodation option, which features all standard amenities and your choice of a king bed or two queen beds, is ideal for single guests, couples or friends traveling together. Featuring plenty of storage space for snacks and drinks as well as a plush king bed, this suite is especially great for extended-stay guests. When you need plenty of added space for your group, choose this suite and enjoy the extra perks available in the living room. Ready for an unforgettable stay in Indianapolis? Reserve this suite, complete with a romantic fireplace and a relaxing whirlpool tub.